Northern Ireland’s bread making tradition is legenderry throughout the world. From unique breads like barmbrack and wheaten, to Boxty and Dulse, these wonderful baked treats can be found at many afternoon tea experiences served daily in Northern Ireland’s hotels and restaurants. In celebration of these tasty treats this Bread and Baking Month, we’ve put together a taster of traditional teatime treats near you. 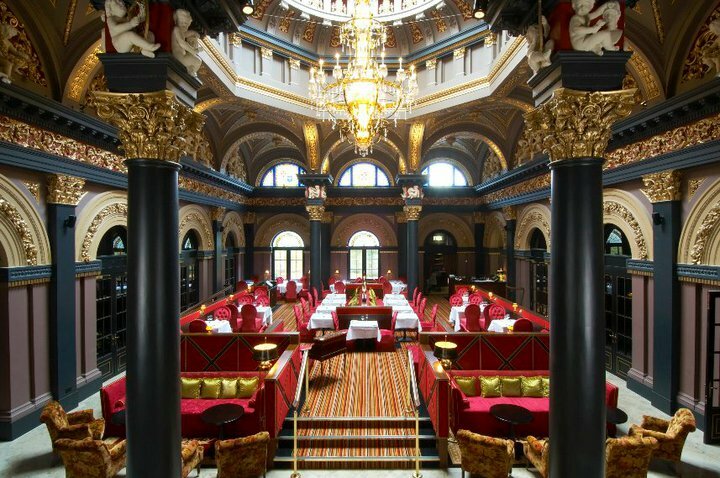 For the ultimate luxury afternoon tea experience, a visit to the 5* Merchant Hotel in Belfast’s City Centre is a must. The traditional afternoon tea is served with a selection of finger sandwiches, delicate pastries and scones with clotted cream, complemented with tea and coffee; all gracing a silver tea stand. A Champagne afternoon tea option is also available. Set in 163 acres of lush parkland and with the spectacular River Maine flowing through the estate, the 4* Galgorm Resort & Spa has a truly unique and beautiful setting. Enjoy a selection of finely cut sandwiches and miniature savouries, freshly baked scones and delicate miniature desserts in the exquisite River Room Conservatory. Afternoon tea at Glagorm Resort and Spa is served daily. Enjoy the 5* Lough Erne Resort‘s selection of afternoon teas while taking in the stunning views over Castle Hume Lough. From traditional afternoon tea to an indulgent chocolate or pink Champagne afternoon tea, you can also choose from a selection of speciality teas in the company of friends and family. 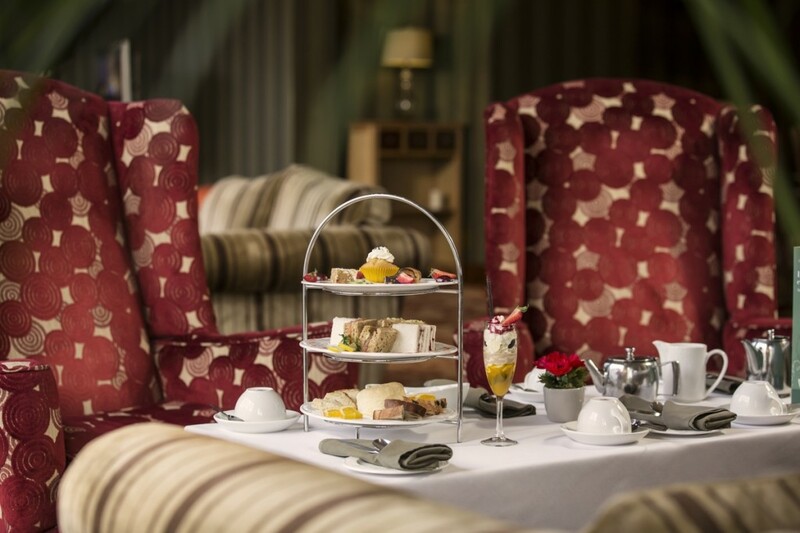 Lough Erne Resort’s afternoon tea packages are served daily, 2pm – 4pm. For something a little different, pay a visit to Ballydougan Restaurant & Coffee Lounge, in the wonderful surroundings of a restored Linen Barn. Relax and enjoy scones and sweet treats all freshly prepared with the finest local produce and served on Ballydougan’s famous hand-thrown pottery. Make a day of it and join in on one of the pottery classes or bring a piece of Ballydougan home from the gift shop. Ballydougan afternoon tea is served Monday – Saturday, 3pm – 5pm. 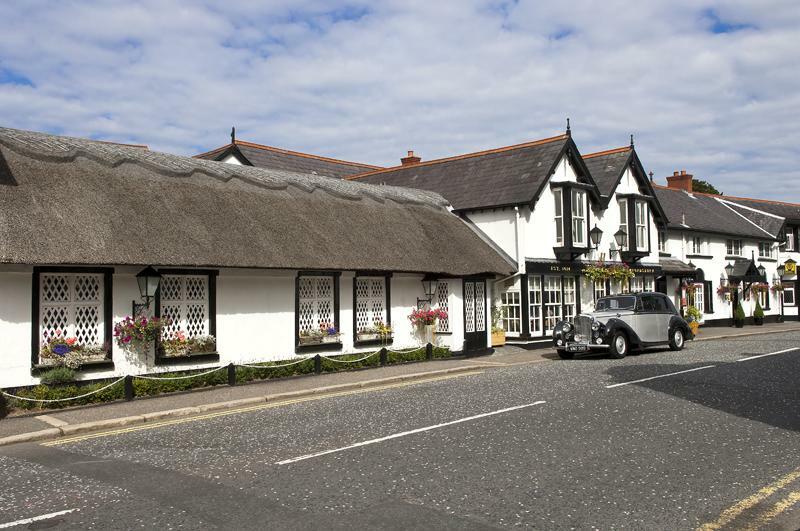 The 4* Hastings Everglades Hotel is the perfect spot for an afternoon tea when in Derry~Londonderry. With a stunning range of aromatic brews and plates of dainty sandwiches, fluffy scones, buttery cakes and pastries, opt for the traditional tea or treat you and your friends to a sparkling Prosecoo afternoon tea. The Everglades Hotel afternoon tea is served daily, 12:30pm – 4:30pm. The quiet intimacy of 4* The Old Inn is the ideal hideaway for an afternoon tea with a difference. Sink happily into a comfortable chair and enjoy your Victorian Tea complete with a selection of speciality teas, home made bakes and dainty sandwiches. Or for an extra special treat, add a glass of sparkling wine or Champagne. The Old Inn afternoon tea is served daily, 10am – 12pm and 3pm – 5pm (Sunday 10am – 12pm only). 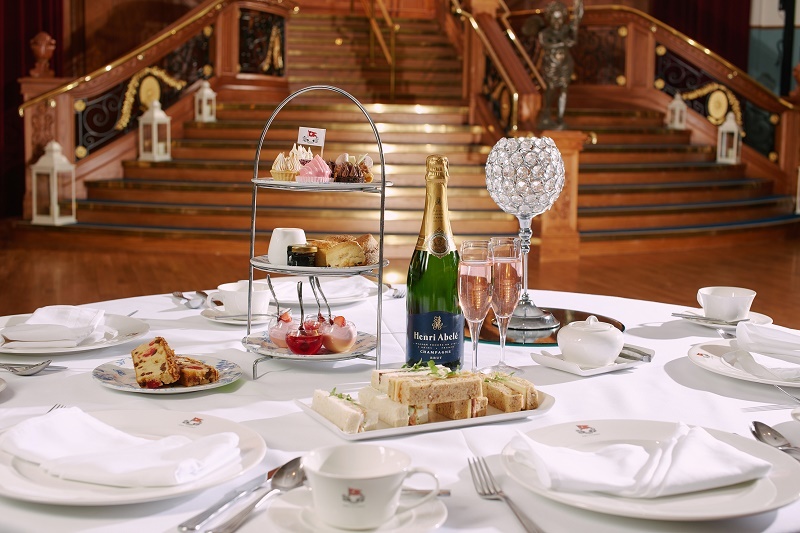 Step back in time and combine a Sunday visit to 5* Titanic Belfast with a Titanic themed afternoon tea. Set within the opulent surroundings of the Titanic suite featuring the stunning replica staircase of the RMS Titanic – enjoy afternoon tea whilst listening to the smooth sounds of jazz playing musicians.